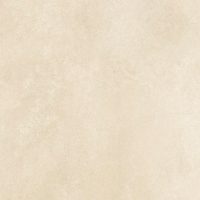 Browse our stunning range of extra large format wall and floor tiles available in ceramic, porcelain and natural stone. Should you choose vinyl, laminate, wood, or some large format tiles for your floor? If you are building, redesigning or decorating your house, it is an exciting time. But it can also be worrying, as several of your choices will last many years, so you want to make the right choice first time. If you choose a paint colour that you can’t live with on the walls, that is easily fixed. But what about the flooring. That is a big decision that is not so easy to undo. Flooring is a major part of your home’s decor and gives a stylish backdrop to your design. You may think that tiles are old fashioned, but a tiled floor manages to be both timeless and trendy. Use our large format tiles to make the floor the feature in your home. Are Extra Large Floor Tiles a Good Covering? It’s easy to think of tiles as just, well, tiles. They are all the same. However, this is not the case at all. Tiles come in many different shapes and sizes, thin and wide. They are made from different materials from porcelain to marble. 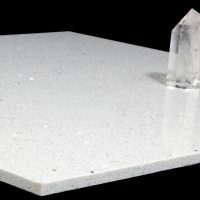 There are different finishes available whether you like glossy or matt, patterned or plain, stone effect or marbled, or even glittery. Changing your floor can make a huge difference to a room. Not only do they look great, but they are hard wearing and easy to clean. You may have the idea that tiles make a room feel cold, but with the different materials available, that is really no longer the case. Large format tiles can make a home feel cooler, which is why they are used in many countries with warmer climates, but they can also have a warming feel. 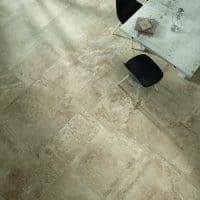 Porcelain floor tiles give a very versatile floor covering so is a great option to consider. Durable. Many large format floor tiles are durable, it is one of the major benefits. Tiles made of porcelain are the most durable. They are resistant to most impacts, and suitable for areas of your home that receive high traffic. Water resistant. 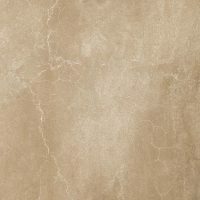 Porcelain tiles are manufactured to be dense and are often coated with a glaze. This makes them water resistant so a great choice for a wet space. Naturally, stain resistant. As quality porcelain tiles are water resistant, they are also able to resist liquid stains. When glazed, this ability is greatly increased. Scratch proof. Thanks to their durability, porcelain floor tiles are also scratch proof. Their polished finish always looks neat in the home. Easy to clean. Spills can be wiped with a cloth. A tiled floor can be easily mopped or swept. Versatile. You may want to benefits that come from having a tiled floor, but don’t really care for the look. Well, porcelain tiles are a great option there. They are very versatile and they can have the appearance of different coverings, even wood. A tiled floor will last for many years if it is properly installed and cared for. If a tile is damaged, it is easy to replace an individual tile. It is a great idea to buy extra so you have spare tiles for running repairs over your floors lifetime. People often make the mistake of having different types of flooring in an open plan downstairs space. They may have tiles in the kitchen, then wood in the dining and seating area. Not only does this leave an ugly join, but you break up the space that you actually want to be open and flowing. Flooring makes an impact in your house, and it makes a big impact in a big space. If you have a large open plan space that has multiple uses like kitchen through to family room, then consider the flooring. A beautiful warm natural tile used through any space will give you durability for this high traffic area with a high-quality look and feel. Tiling is a fairly traditional choice of floor covering in a bathroom, and for good reason. Modern bathrooms feature large bathroom wall tiles too, so it’s not just the floor that can be catered for. Bathrooms are busy spaces and high in moisture, whether steam or water. If you are currently living with a bathroom that was tiled many years ago, you will be surprised how tiling has moved on. Bathroom tiling is now very durable and slip resistant in a wide range of colours and materials. You can even choose a nice modern style with a sparkly finish. If you don’t need the additional expense of a new bathroom, you will find a tiling solution to match your current bathroom suite. Your kitchen is a busy room and, whether you entertain a lot or have an active family, it receives a lot of visitors. It also receives a lot of spills. So you need a flooring that can survive a lot, be easy to clean but still look good. Whatever the size of your kitchen, a tiled floor is a definite winner. It looks stylish and elegant without looking too sterile and cold. Choose your floor tiles in proportion to the size of your kitchen. If you have a large space, our large format tiles look fantastic and make your floor a great feature. People often associate tiling in an entrance hall with the Edwardian and Victorian style of tiles. You either love them or hate them, but they certainly distort our ideas of entrance hall tiles. In general, large tiles make a space look bigger and small tiles make a space seem cramped and busy. This is why some of this old style tiling has such an impact on an often narrow space. If this has put you off having tiles in the entrance hall then think again. Pale coloured large format tiles, in either ceramic or porcelain, will make this space seem bright and airy. The tiles will stand up to a lot of wear and tear from muddy boots and paws and they are easy to clean. A kitchen is a great space to have underfloor heating. Especially if it is a large open plan area that stretches into the living area. Underfloor heating works well under a tiled floor. You just need a flat surface before putting down the underfloor heating but this can easily be achieved with a self-levelling mix. The beauty of tiles is that whilst they are practical and durable, they are also attractive. You can achieve many great looks when you use tiles. Pattern. You can use tiles to make a lovely patterned floor that will be a great feature in many rooms. You can either use patterned tiles, or your make your own, unique, pattern by playing with tiles in different colours, shapes, and sizes. Unique. 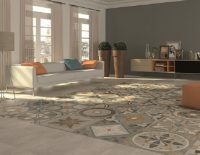 A tiled floor can be unique to you thanks to the different tile options available. You can be adventurous and stamp your personality onto your floor. Our large format tiles will give you a striking effect and don’t be afraid to use some colour. Stone kitchen floor. If you yearn for a traditional, cottage or farmhouse feel to your kitchen then a stone effect tiled floor is a great start to achieving it. You will get the same effect of an old stone floored cottage, but will the modern convenience of an easy to clean, durable, tiled floor. Outdoor/Indoor. In addition to using one type of floor covering throughout a large open plan space, you can do the same with your outdoors. You can link from your kitchen or conservatory to your patio to achieve a really seamless look. 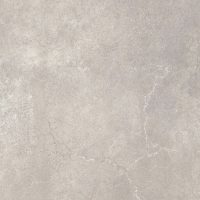 We stock several ranges of porcelain and ceramic tiles that can be used both indoor and externally. Whilst flooring will be a large part of your redesign budget, it has the potential to add a lot of value to your home. The floor is one area where you really don’t want to cut costs. Think not only of the beauty but also the value you will add to your home with our tile flooring. 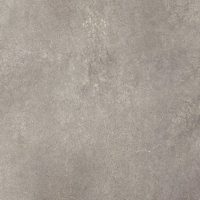 Browse some of the large format tiles on our site to give you some inspiration and don’t be afraid to ask for some advice. We’ve got some of the leading collections from various quality tile specialists. We stock a huge amount of tiles and can arrange delivery direct to customers that purchase from our Internet shop. Prices are available throughout, along with samples and further details. Don’t hesitate to contact us for more information.